All Berry Creek homes currently listed for sale in Berry Creek as of 04/25/2019 are shown below. You can change the search criteria at any time by pressing the 'Change Search' button below. If you have any questions or you would like more information about any Berry Creek homes for sale or other Berry Creek real estate, please contact us and one of our knowledgeable Berry Creek REALTORS® would be pleased to assist you. 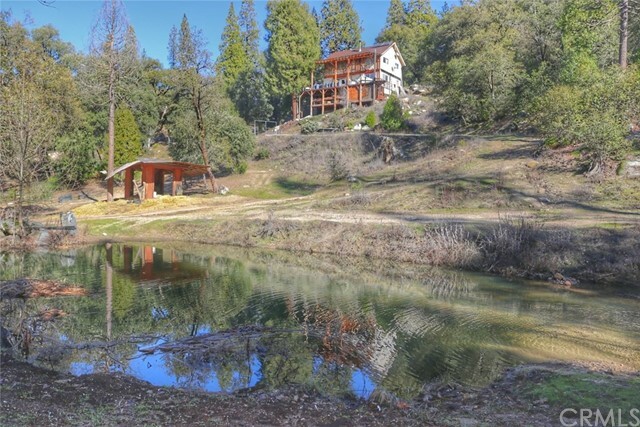 "Just a short distance from Lake Oroville nestled in the trees, this ranch is far from the hustle and bustle of the city. Rebuilt from the ground up a few years ago. This property has it all!! A beautiful main home, a guest house/studio a 2 car garage with potential living quarters above it and 2 ponds being fed by natural springs. There are multiple green houses and the set up to sustain a community garden. The main house is beautiful and has many upgrades and luxuries you'd expect from a new home. Modern cabinetry, granite counter tops, stainless steel appliances, wood floors and new dual pane windows are just a few of the immediate things you will notice. The property is fenced and private. Don't miss this place if you are looking for a family compound, or a property for the family to visit and have room to play! The information contained herein has been obtained through sources deemed reliable but cannot be guaranteed as to its accuracy. Sq. ft., bed/baths , & lot size taken from public records. Buyer is advised to investigate to their satisfaction"
"Views!!! Quality construction! Over 5000 sq. ft. under roof which included wrap around porches." "Storybook Style Rustic Home on 20+ Serene Acres! Cozy detached guest quarters with its own bath at 120+/-sf. Classy detached Art/Craft Studio with stained glass transom-light windows at 120+/-sf. This property offers so much, one would have to see to appreciate. A rope swing hangs from an oak overlooking beautiful meadow within the abundance of tall trees. Two spring fed ponds including one with observation deck stocked with fish. Home itself is a clean 3 bedroom tri level home with wood burning fireplace. Country kitchen with antique stove accent. Includes all appliances. One of the 3 bedrooms with balcony overlooks property. There is a sitting room wrapped with view windows. Exterior with charming stone walkways & landscaped yard with relaxation deck. Enclosed garden area with good amount of raised beds. Scattered fruit trees including apples, fig, established grapes, etc. Detached fenced in mini orchard with mixed fruit trees. Small barn converted to workshop area with power. Dog run with covered shelter. Wood storage building. 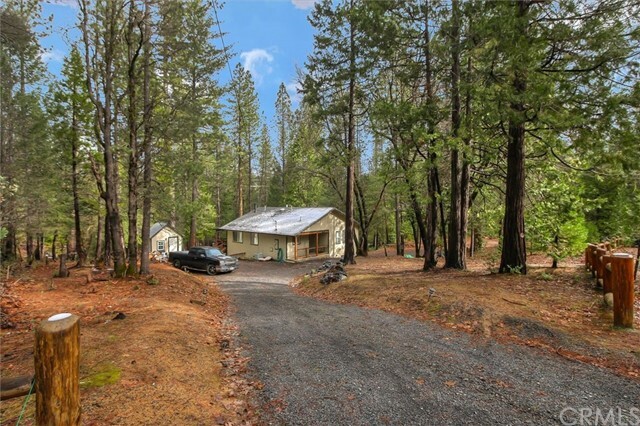 There is an extensive hiking trail system exclusive to this property lined with some awesome aged Oaks, Madone, Fir trees & beautiful forested foliage that weave thru the majority of the wooded areas. Beautiful moss covered outcroppings, wildflowers & ferns. Owner had horses here years ago, great property for that purpose. End of road gated access. This unique country set up sits in a world of its own! Furniture may be optional. Updated photos soon!" "Sitting atop Bloomer mountain, this very private, 40 acre, square shaped parcel boasts truly breathtaking views. 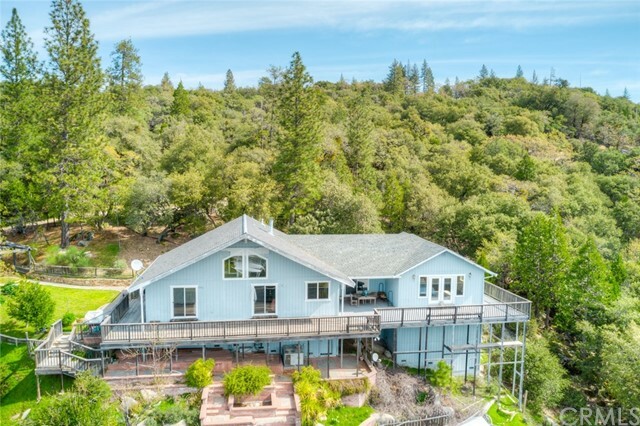 From this mountaintop retreat you can see it all; from the North Fork of Oroville Lake to the dam and Bidwell Marina, as well as the Coastal range, the Sutter Buttes, and surrounding city valley views, which are especially enchanting at night. There is a well-constructed, quaint cabin in need of interior finishes in the final stages of the permit process. Permitted septic system in place. Established landscaping is around the cabin as well as raised beds in a fenced garden. There are several cleared, flat spots on this retreat for shops, barns, and/or animals. Multiple roads run throughout this property, and there are miles of trails for hiking, off road vehicles, and horseback riding in the immediate area. Power is at property edge. The well produces 12 gallons per minute and there is also an undeveloped, natural spring. Peaceful and serene. You don't want to miss out on this opportunity. This is personally one of the nicest pieces of land I've ever seen. Owner may finance with substantial down payment. Call your agent to schedule showing; do no go direct." 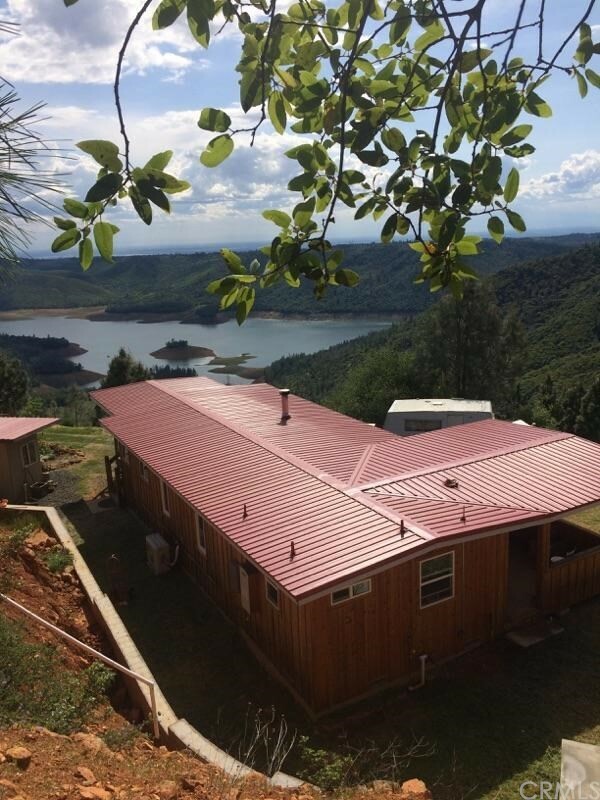 "Lake Oroville view home on 40.78 rolling private acres. Scattered in mature trees in every direction. Views from nearly everywhere on this property. Panoramic views as far as the eye can see. Views include Lake Oroville, a few fingers of the lake, Bidwell Marina, Oroville Dam, Sacramento Valley, from the valley floor at the base of the Sierra Nevada foothills out to the Mendocino National forest at opposite side of Valley. Great place for beautiful sunsets, soaring hawks, deer, an abundance of wildlife, fresh air & peacefulness. You are literally at the top of the mountain, king of the hill. Semi modern style 1998 built simple home with 1,151sf of interior space. Master bedroom with full bath. Guest bathroom. Living area with fireplace. Interior laundry. Sliders to covered concrete patio area. Front covered porch spans the length of home. Plenty of space here for creative additions, shop, garage, etc. Large garden area with water storage tanks; would make a good area to clear out and build a shop/garage. Updated photos soon. This property sits a little over a mile up a gravel road about 20 minutes from town. (Overhead photo with yellow lines are estimate only!)" "This is a beautiful custom home with end of the road privacy on a heavily wooded 20+acre lot. It has breathtaking valley views where you can see all the way to Mt. Diablo on a clear day. There are many custom touches to this house including cement work designed around native rocks that blends into the natural landscape and a large partially covered porch to enjoy nature and seemingly endless views from. The home has an open floor plan with vaulted ceilings and light laminate floors. The master suite was an addition built in 2004 and has seperate HVAC and water heating systems. 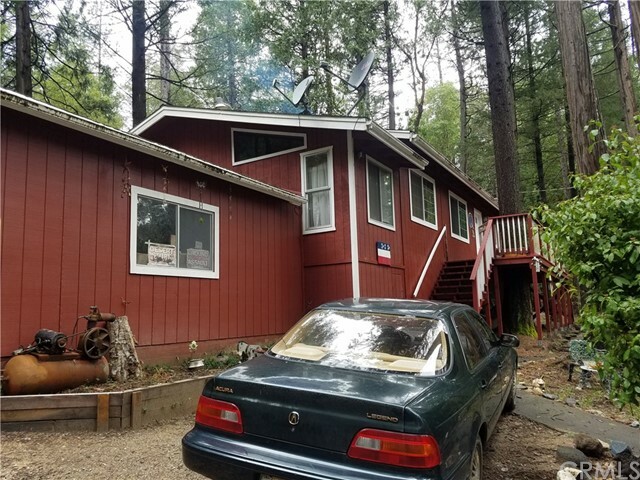 There is a detached garage and a small cabin on the property as well as many terraces throughout the property. Trails have been cut and maintained allowing you to access most of the property. This property is the perfect combination of modern day luxury combined with the untouched natural world." 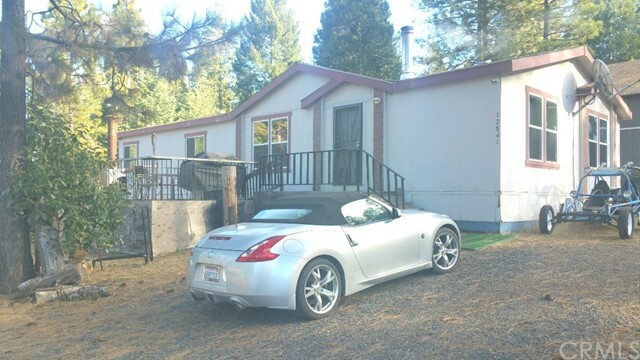 "Two Mobile homes in a beautiful mountain setting with a 30x60 shop on 13.88 acres. 12841 Oro Quincy Hwy. is a 3 bedroom, 2 bathroom mobile home and is on a 433A foundation built in 2002. 12844 Oro Quincy Hwy. 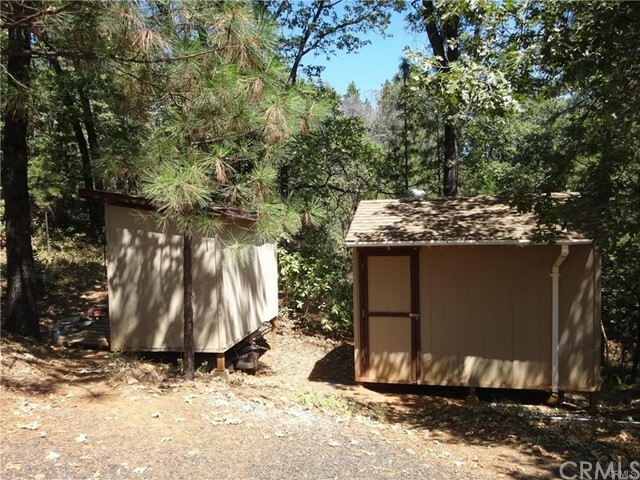 is a 2 bedroom, 2 bathroom mobile home and is also on a 433A foundation built in 1979. The information contained herein has been obtained through sources deemed reliable but cannot be guaranteed as to its accuracy. Sq. ft., bed/baths , & lot size taken from public records. Buyer is advised to investigate to their satisfaction." "A world in its own. 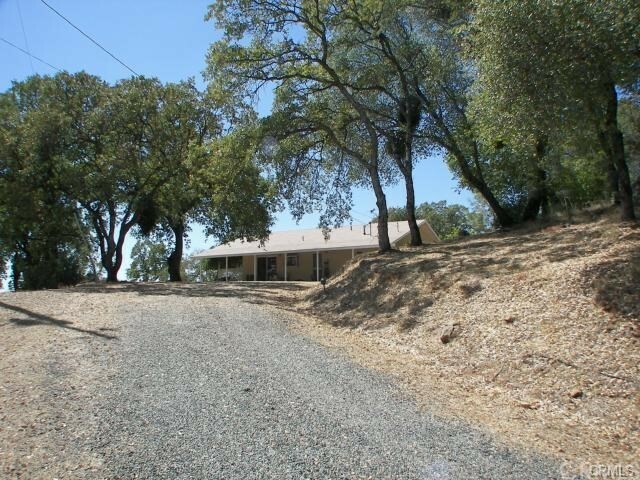 Nearly 40 acres of private, scenic, rural property in the foothills just above Oroville. Fully self sustainable. Hard to describe the beauty in this property. Paved private roads wind up thru private community and thru a solid locked access gate, then about 2 miles up to property off semi smooth gravel roads. This property is not for everyone and will take a unique buyer. Someone willing to take on a project. Someone looking for seclusion, yet not too far from civilization. The only person that belongs here, is you. Total fixer at 1,823 square feet. 5 bedroom, 2 bathrooms. Lower level 2 bedrooms, living, fireplace, kitchen and stairway to second level with 3 bedrooms and additional bath. Utilities include propane, solar, commercial sized generator, diesel tank, and yes, a phone line. Beautiful terrain with roads that weave in and out of the trees, along the hillsides, up to a large view pad away from home. Lots of property to explore. Massive moss covered boulders. 2 wells and multiple water storage tanks. Perfect for ATV's. quads, dirt bikes, shooting, etc. One of the most unique creeks I have seen on a property in some time. Awesome water falls, swimming hole and creek beds. Tall trees scatter the terrain. Deer and turkey were hiding in the forested areas. Awesome views from many locations of this property. Property currently used for horses with good sized horse corral. Good size pond just below home. So much potential. Cash offers only entertained." "Secluded property excellent for piece of mind and privacy, property partially cleared of all brush for whatever your needs are." "Private setting! Fantastic home in the mountains of Berry Creek. Tucked away for privacy, beautifully maintained grounds, rock outcroppings, sugar pines and plenty of places to enjoy nature. This property has beautiful sun for gardening, and is also just minutes away from the local convenience store. The interior of this home takes your breathe away. Natural colors, laminate, hardwood and tile flooring provide ease for cleaning up! Tons of natural light, open floor plan, large kitchen! The home has central heat, and mini split AC and heat pumps. Please call your agent today for a private showing!" "Butte County~Beautiful Berry Creek~Elevation approx. 2200'. 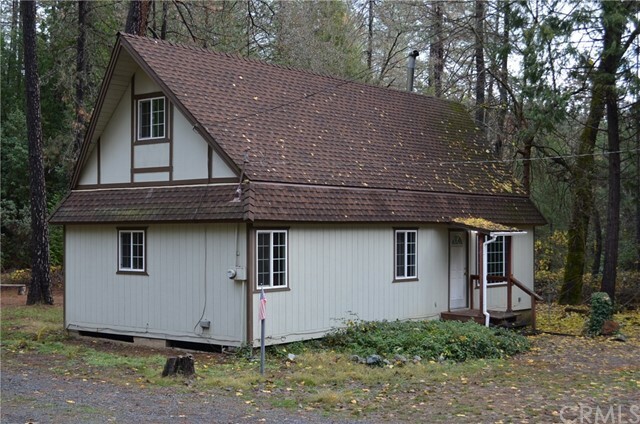 ~ Nestled in the trees on 3.71 acres~On Top of a mountain of its own~Charming Country Home~2/2,1002 sq. ft. Cherry Kitchen Cabinets. Butcher Block type counter tops. Side by side refrigerator, Electric range, Dishwasher. Separate attached laundry room with washer and dryer. Great seating area on the fenced in front porch to enjoy the summer evenings. . 8x14 Shop, Well house. Security doors on both entrances, Dual Pained windows, Nice window coverings. Free Standing Propane Heater (Wood stove type). Laminate Flooring through out Kitchen and Living area. Open floor plan. There is a lot of room for expansion Here. Next to the home is a large open area, possibly a spot for a large garage. Flat sunny location to grow your veggies and flowers. This is a great Starter Home. 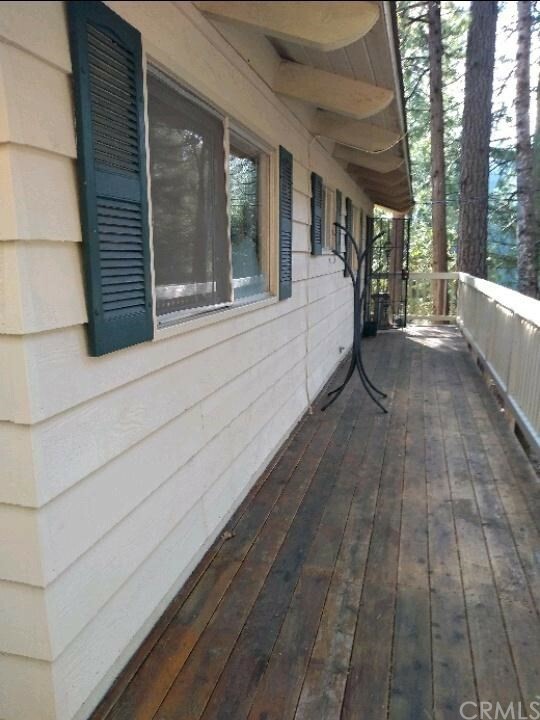 If your looking to relocate in the mountains with easy access right off of the main road. This is it. Take a look. A true gem!!!! Owner may finance..."
"Cool Mountain Retreat just in time to escape the heat of summer! 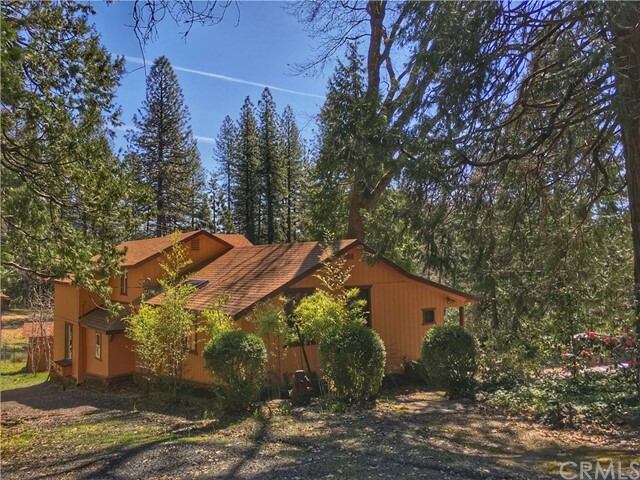 Nestled in the pines, this private home on a large lot has so much to offer! Beautiful wrap around deck for hours of enjoying the natural setting. Gorgeous wood vaulted ceilings throughout main level. Two bedrooms and open floor plan kitchen/dining and living room on main floor of home, and second bathroom and bonus room on lower level. Wood fireplace will keep you cozy in the colder months. Plenty of space for RV parking or any other toy storage! Detached two car garage! Backed up to forestry land, with direct access. Great for ATV's! Located at the end of quiet cul-de-sac full of like kind homes, make the picturesque drive to see this adorable country home!" "QUIET, PRIVATE, and ready for a new owner! This home is nestled in the tall pines of Berry Creek. Just past the market and gas station on Bald Rock rd, in the Ponderosa Pines sub-division. This home is perfectly situated at the end of the road for maximum privacy and serenity. VERY well maintained with surprisingly spacious rooms. There is an ENORMOUS bonus room off the master bedroom that can be utilized in many different ways. The rustic woodstove keeps the home warm and comfortable in the winter while providing a focal point when you enter the home. Beautifully surrounded on three sides with tall pines that sing in the wind. The deck wraps around the house on two sides and provides a commanding view of the surrounding area as well as a great space for BBQing and entertaining. There is a Garage plus a shed and TONS of parking for anything you need to park. Garden area in the back gets good sunlight." "Looking for privacy? 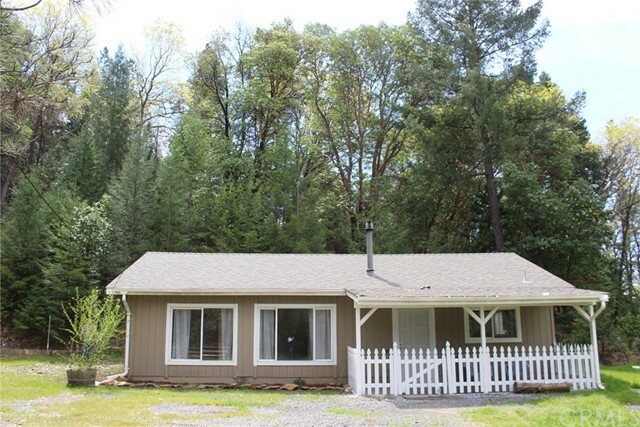 This 2 bedroom/ 1 bath country home offers almost 3 acres of the Sierra Foothills, all to yourself! This property is well manicured with automated watering system perfect for keeping up with the landscape and gardening. The home features a beautiful cover deck that allows you to enjoy the outdoors from the comfort of your home! Don t wait, this hidden gem won t last long!" 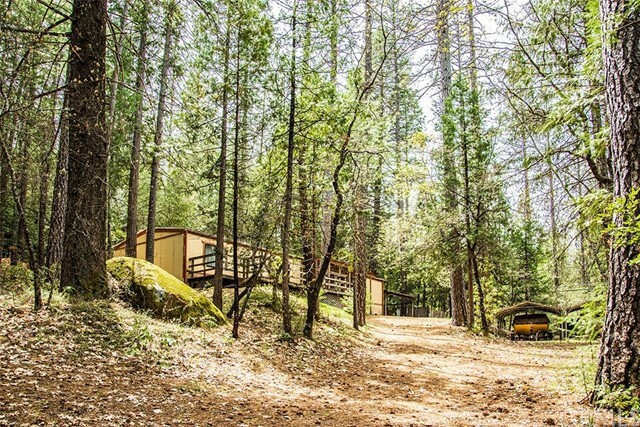 "Located in the beautiful pines of Berry Creek, Ca. Private country setting situated behind a shade bank of soaring trees on 4.25 Acres. Gated access just off main paved road. Pull thru gates at edge of property leading to road that loops up & around property, past shop & to the home at far rear, then continuing back around to the entry. This property is for the most part flat to rolling terrain. Majority is usable. Fully fenced but appears to need some mending. There are two separate addresses here. Two separate power meters. Two septic tanks. Serviced by well water. There were two homes here at one time on opposite ends of property. 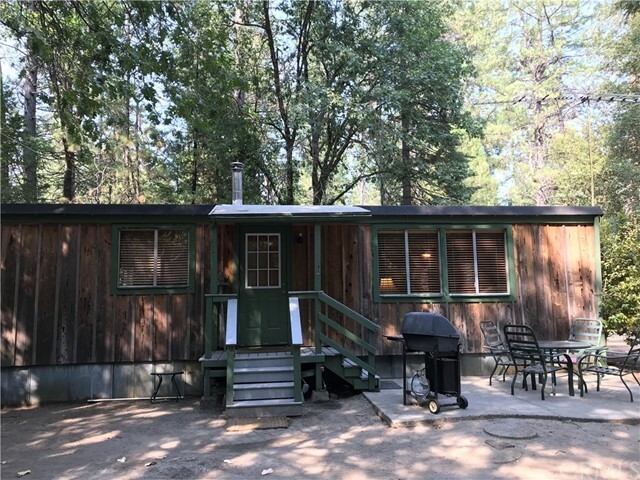 Existing 3 bedroom 2 bathroom 1973 manufactured home with good sized front deck for relaxation within the trees. There are two covered carports perfect for parking toys, boats or cars. There is also a carport off home itself for plenty of parking space. Perfect weekend getaway retreat or year round set up. Family compound? This property is ready for additional home. 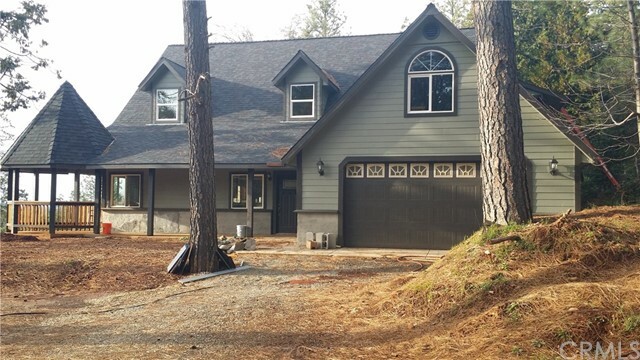 Live in existing home while building your new home in the mountain pines. Plenty of upside potential here. A seasonal creek/water run off that rolls thru the property, under a small dilapidated foot bridge & down along some beautiful rock outcroppings. A good sized meadow within the trees scattered in wildflowers. Decent sized shop perched up in the trees above the meadow with power pole/meter adjacent. There is even a horseshoe pit set back in the trees. A peaceful private setting!" "Location, Location, Location. 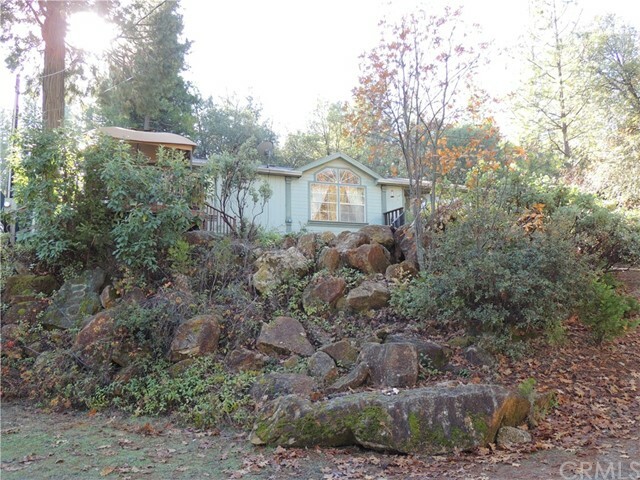 2 Bedroom 2 Bath, 1,200 square foot home located in the desirable private gated community of Lake Madrone. Perfect for year round living or weekend get aways. The home has dual pane windows, just had new laminate flooring installed, interior was freshly painted, new Central Heating and the kitchen counters, sink and Master Bathroom shower enclosure was just professionally refinished. There is also a woodstove as a second source of heat. The loft is part of the square footage listed and needs a staircase put in to access without a ladder. There is a nice sized deck out the sliding glass door leading to the back yard, perfect for BBQs, relaxing and entertaining. The gated community of Lake Madrone offers property owners a 25 acre private mountain lake to enjoy fishing, hiking, boating, swim beaches, picnic area with tables and benches, horseshoe pit, basketball court, a fire pit and some manicured lawns. Call to see today!" 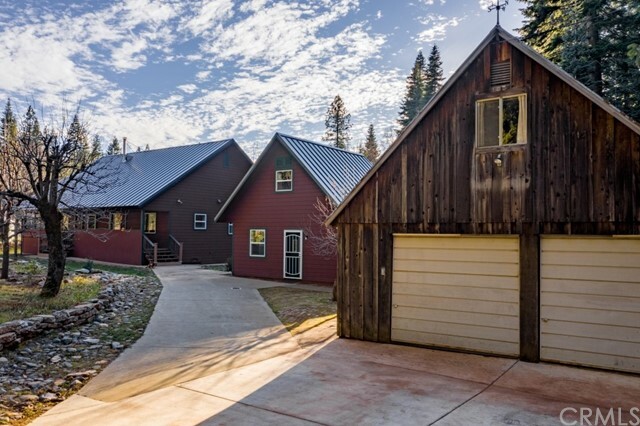 "Tall pines and fresh mountain air surround this Berry Creek home on 2.41 acres. The 1973 manufactured home features 2 bedrooms and 2 bath, an open floor plan and attached screened porch. Outside you ll find 2 carports, a detached 2 car garage, 12x16 storage building and an enormous Quonset Hut. There s room to store all your toys inside AND the RV! There are 2 wells, one services the home and the other after some minor repairs would perfect for irrigation. The property is level and all usable. The seasonal pond is a welcome addition to the private and secluded setting. Easy access from paved road."